Through Terumo BCT’s charitable giving efforts, the company donated more than $440,000 USD to nonprofit organizations in FY 2017. The majority of donations go to organizations that align to the company’s promise, Unlocking the Potential of Blood. 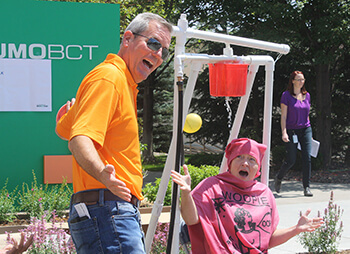 As a company committed to bettering lives by unlocking the potential of blood, Terumo BCT’s community programs align to that commitment by supporting the organizations that directly touch the patients and communities our associates serve every day. 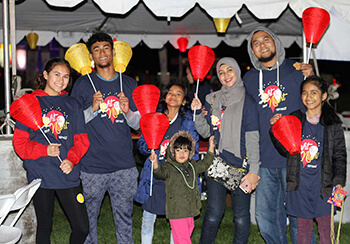 Our largest charitable partnership is our decade-long relationship with the Leukemia & Lymphoma Society’s (LLS) Rocky Mountain Chapter Light The Night fundraising campaign. 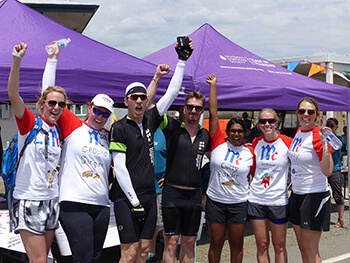 To date, our associates, sponsors and events have raised more than $1.3 million USD to support patient care, advocacy and innovative research to find a cure for blood cancers. 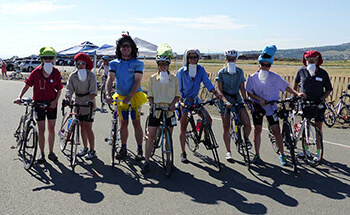 In 2007, we started out modestly with one event and raised approximately $3,000 USD. 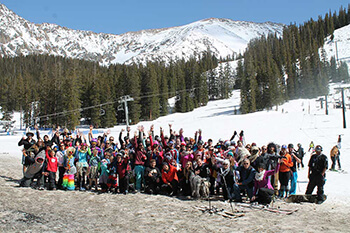 In 2017, we hosted multiple fun teambuilding events, including a golf tournament, food and wine tastings, and ski and bike races, among other events, raising more than $266,000 USD. Watch the video highlighting all the fun activities we hosted during the campaign. 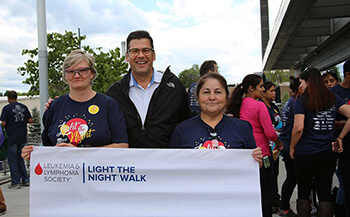 We were honored to have one of our own represent the 2017 Light The Night campaign as the LLS Rocky Mountain Chapter Honored Hero, Quade Marks, the son of our associate Michelle Marks, Director, Global Product Marketing, Blood Center Segment. In this role, Quade served as an ambassador for the campaign sharing his story of his journey with acute myeloid leukemia (AML). 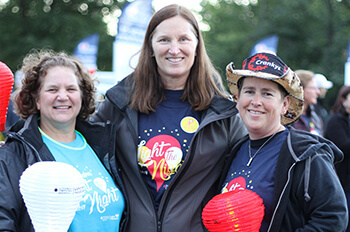 Our Light The Night campaign has expanded each year to engage more associates around the world. 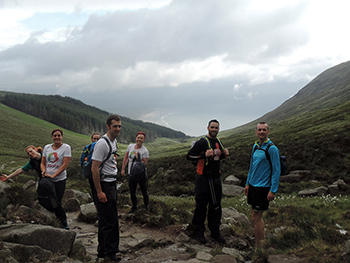 Associates in the UK, Australia, Belgium, Singapore and other countries have partnered with local nonprofit organizations that also support ending blood cancer, including Leukemia & Lymphoma Northern Ireland and the Leukemia & Lymphoma Foundation in Singapore. 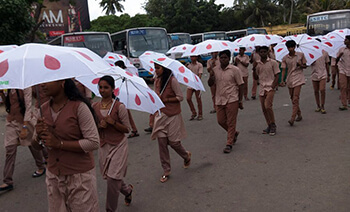 In India, Terumo BCT established the Club 25 program where students donate blood 25 times between the ages of 18 and 25. Today there are 11 clubs and the movement is gaining momentum with more than 6,500 blood donors, of which 4,100 are now regular donors. In 2017, our local office organized 179 blood donation camps and developed a mobile app to promote voluntary blood donation. 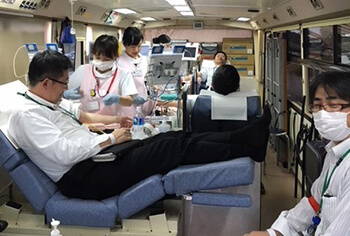 In Japan, we host regular blood drives at eight Terumo facilities, including six factories, our R&D center and our Tokyo office. 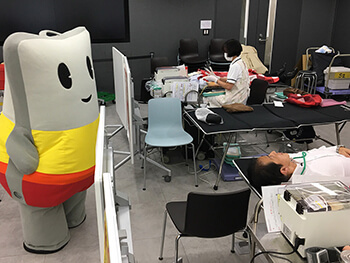 Since 2015, we have been using the “Terucolo-kun” character to encourage associates to donate blood. 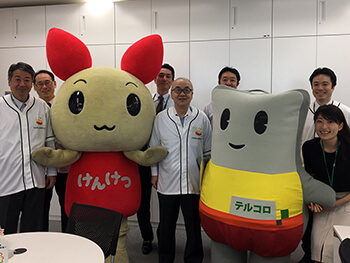 Terucolo-kun visits various facilities to thank associates for their participation by giving small items as gifts, like stickers and decks of cards. More than 1,000 associates, including associates who go to an outside blood collection facility, donate blood every year. 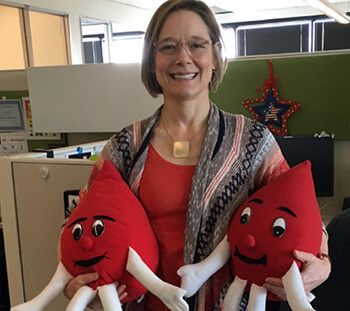 In 2017, we hosted blood drives on our Lakewood, Colorado campus every 56 days with 259 units of blood collected in total—a 13 percent increase from 2016. 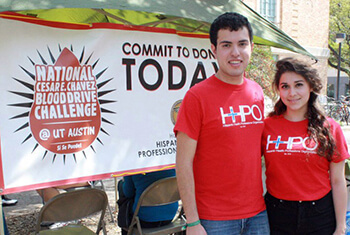 Since 2014, Terumo BCT has provided financial support to the National Cesar E. Chavez Blood Drive Challenge in the United States, which provides $1,000 scholarships to student organizers of local blood drives targeting at increasing the Hispanic/Latino blood donation rate. As a direct result of Terumo BCT’s leadership role in funding this campaign, the American Red Cross has now adopted our campaign as their national outreach campaign towards the U.S. Hispanic/Latino community for blood donation. Vietnam served as the host country for World Blood Donor Day 2017 on 14 June. 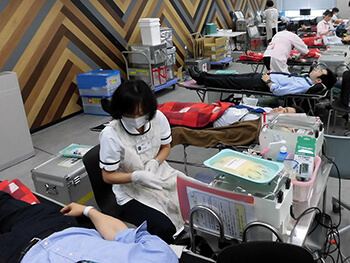 As a country, Vietnam received 1.2 million units of donated blood in 2016 but that only met 66 percent of the local demand, so this 2017 blood drive was meant to increase that number. Terumo BCT served as a gold sponsor for blood drives co-hosted by the American Chamber of Commerce (AmCham) and the British Business Group Vietnam. 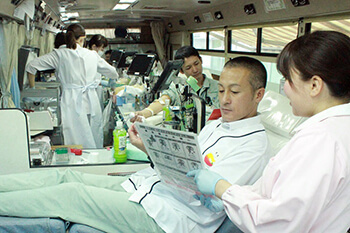 Seven blood drives were hosted throughout the month of June in Ho Chi Minh City to help encourage people to donate blood regularly to ensure the sufficiency of blood stock. Established in 2008, the Global Blood Fund (GBF) supports transfusion-related initiatives in more than 40 countries in Africa, Latin America and Asia. 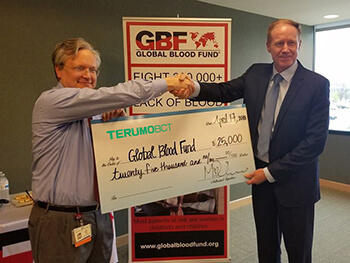 Terumo BCT provided a $25,000 USD grant to GBF to combat the world’s transfusion crisis. The donated funds will be used for various projects to improve transfusion care in emergent nations. 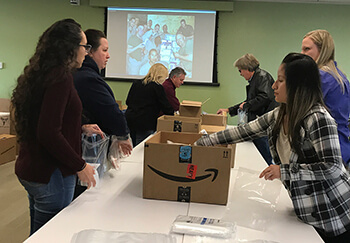 Among its programs, GBF provides donated blood bank equipment, delivers and sponsors training programs, and supports efforts to reduce the stark inequalities in access to safe blood that exist between higher- and lower-income countries. Project C.U.R.E. 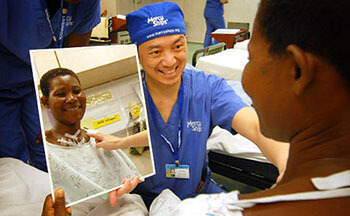 is the largest provider of donated medical supplies and equipment to developing countries. 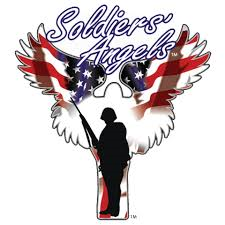 Terumo BCT has provided financial, in-kind and volunteer support to the organization. Matthew Long, Engineer, Global Systems Performance, a young professional ambassador for Project C.U.R.E., is one of several Terumo BCT associates who volunteer with the organization. 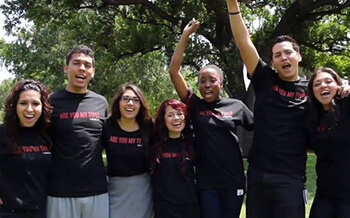 In May 2017, a group of 12 ambassadors, including Long, from Project C.U.R.E. and the Project C.U.R.E. Young Professionals Board were on the ground in Campeche, Mexico to accompany a shipment of more than $100,000 USD of donated medical supplies and equipment to support local clinics, elder care facilities and orphanages. Terumo BCT provided a grant to support Long’s participation in this clinic trip. 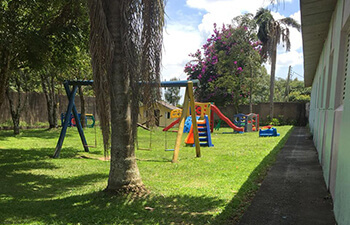 According to Long, the team saw everything from orphanages with dirt floors, no beds and 20 kids per room to clinics in the jungle where only the indigenous language is spoken and the hospital is the last beacon of hope for many residents. 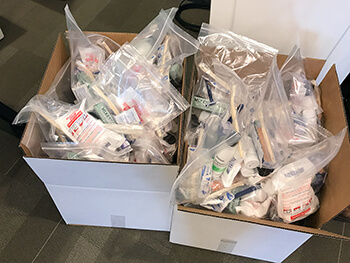 These facilities are in desperate need, and Project C.U.R.E.’s targeted Needs Assessments ensures supplies that they truly need and use to save lives are delivered to the right people. The impact the goods we send have on local communities cannot be overstated; and seeing the look of hope and joy on a mother’s face when she realizes her child will live thanks to the work we do is the most amazing feeling in the world. Matthew Long, Engineer and a young professional ambassador for Project C.U.R.E. In November, Terumo BCT was a $2,500 USD Full House sponsor for Project C.U.R.E.’s 7th Annual High Rollers for Health & Hope. Through the event, Project C.U.R.E raised $125,000 USD to enable shipping five containers of medical supplies and equipment valued at $2.5 million USD to benefit disaster relief in Mexico. 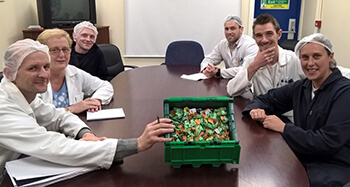 When protective clothing requirements changed for our Lakewood cleanroom manufacturing facility, we donated $15,000 USD of lab coats and smocks to Project C.U.R.E. 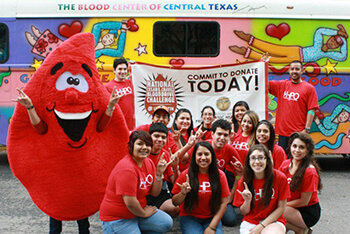 As an organization serving blood centers, we understand the lifesaving power of blood. This need becomes even more critical when patients are being treated on a floating hospital serving some of West Africa's poorest nations. 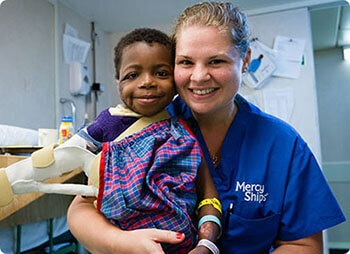 The Africa Mercy is the largest ship in the fleet of the nonprofit organization, Mercy Ships—the world's largest non-governmental hospital ship with a volunteer crew of 1,000 professionals from up to 40 nations. The ship includes five operating theatres and has recovery, intensive care and low-dependency wards with 80 patient beds. Watch this video from Mercy Ships to learn more. 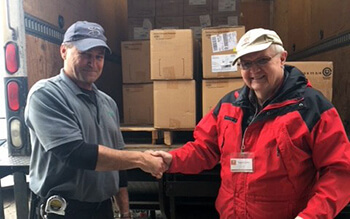 For nearly a decade, Terumo BCT has donated single and double blood bags to Mercy Ships. These bags are vital to the mission of Mercy Ships. Volunteer staff and crew on board the Africa Mercy regularly donate blood to meet the ship's transfusion needs for the 7,000 surgical interventions performed on board annually. As of June 2017, the ship was based in Benin, West Africa on its way to Cameroon. On average, Terumo BCT provides 1,000 blood bags in response to each annual or biannual restocking request received from Mercy Ships. One patient who directly benefitted from Terumo BCT's support is Sambany. Hearing about Mercy Ships on the radio, 55-year-old Sambany walked for 2 days to get to the ship to remove a 16.45-pound tumor. Sambany received 17 units of blood from volunteer crew donors before and during his 12-hour surgery. Watch this short video to hear Sambany's story. Building on our previous support of the Emily Whitehead Foundation, Terumo BCT was proud to be a $25,000 USD platinum sponsor for the foundation’s inaugural Believe Ball in 2017. The Emily Whitehead Foundation's mission is to raise awareness and funding for innovative childhood cancer treatments, such as immunotherapy, that will improve survival rates and quality of life. 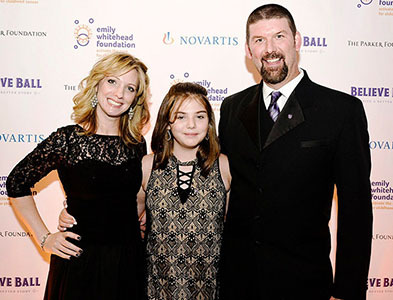 Emily’s parents created the Emily Whitehead Foundation to help provide researchers with the funding they need to find less toxic treatments for pediatric cancer. Their focus is funding the most promising research, such as the CAR T-cell therapy that Emily received and other immunotherapies. 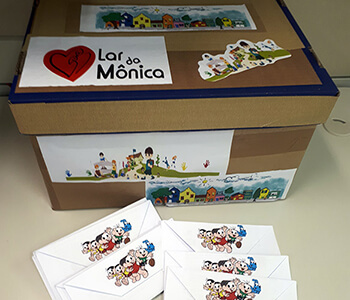 Associates in Sao Paulo hosted a two-week fundraising drive in the office to support Lar da Mônica orphanage by purchasing food for the children. The team’s donations purchased 45 kilograms of nutritional food for the children. Terumo Penpol (TPL) in India has a robust local corporate social responsibility program ranging from blood donation advocacy to supporting local schools and supporting government social initiatives. 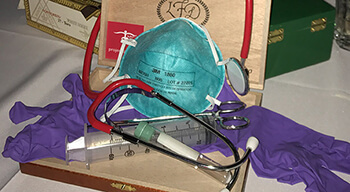 Other supported healthcare initiatives include a stem cell donation drive, support to hemophilia and thalassemia patients, financial support for children with autism and physical challenges, and partnership with Fortis Memorial Research Institute in Gurgaon to focus on an anemia-free India. In conjunction with Hinduja Hospital, TPL provides a ₹60,000 INR/month, one-year scholarship to transfusion medicine students. We also partner with government hospitals providing them with donated computers and printers, as well as donating sanitary items and toiletries. TPL assisted the Public Health Center to upgrade its facilities and provided financial support for a polio immunization drive. In 2017, the Indian Prime Minister gave a call for “Swachh Bharat Abhiyan”, a mission to create cleaner India. As part of the Swatch Bharath drive, TPL supported Rotary International in the construction of toilets at four local schools, and we initiated cleanliness campaigns in the schools to increase awareness of better sanitation and hygiene practices. 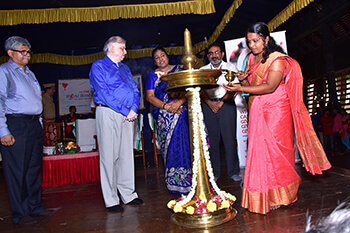 We also partnered with the local Government of Kerala to support their focus on converting dumpsites to places of attraction. Our support helped clear 36 dumpsites in Thiruvananthapuram. The company has been actively engaged in corporate social responsibility activities almost from the company’s inception over 30 years ago. 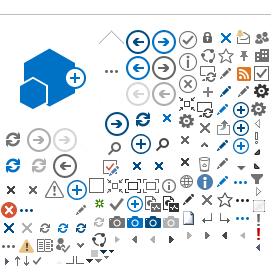 As a business, we depend on our community and environment for various resources including natural and human resources. The symbiotic relationship between a business and its community forced us to think of ways in which we could give back to the community from which we draw sustenance. We are recognized by our community as a valued citizen which is in it for the long term. The local representatives of the people and the public at large appreciate the contribution that we have made to rural sports, education and health. 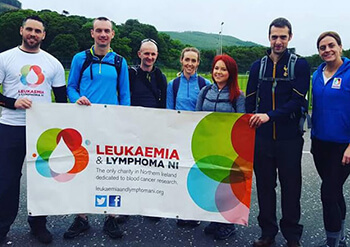 The Terumo BCT Larne office hosts several fundraising events to contribute to Leukemia & Lymphoma Northern Ireland (LLNI). Each year they also ask associates to nominate another charity to support. 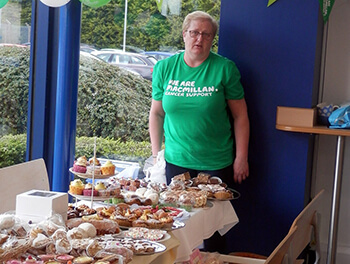 In 2017, they selected the Macmillan Cancer Support Centre. 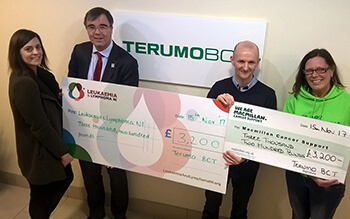 Each of the two charities received £5,500 GBP in 2017. 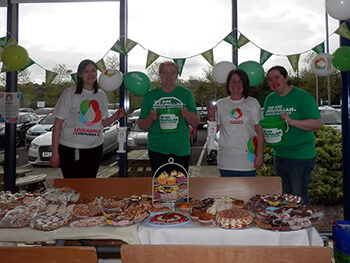 Fundraising activities included a cake sale, football competition and drawing, prize drawings, craft sale, IT computer sale, cake decoration competition, ziplining across the River Lagan and others. 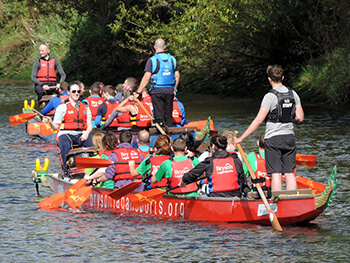 Associates also participated in larger community events including the Light The Night Mourne Walk, the four peak Celtic Mountain Challenge and Macmillan Row Your Boat on the Lagan. Representatives from both organizations participated in Terumo BCT Patient’s Day and shared personal stories of the impact the organization’s support makes in the lives of those impacted by cancer. 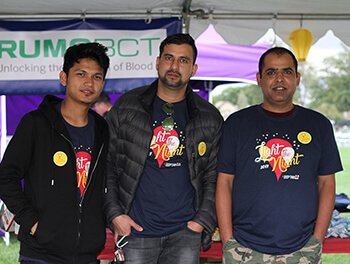 We are extremely thankful for all the support and awareness raised by the staff at Terumo BCT, an organization which in itself plays a huge role for the survival of blood cancer patients. 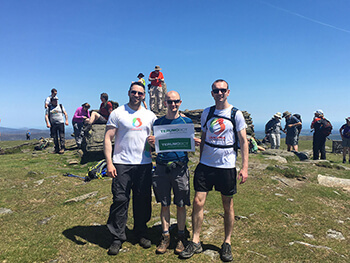 Well done to everyone who has participated in any of the many challenges and events throughout the past two years, your efforts have made a real difference! 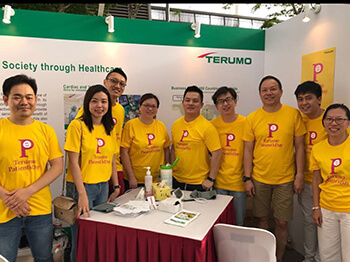 From helping conduct blood glucose screenings to measuring blood pressure, associates representing all Terumo subsidiaries in Singapore volunteered their time, knowledge and skills to benefit those in the community. 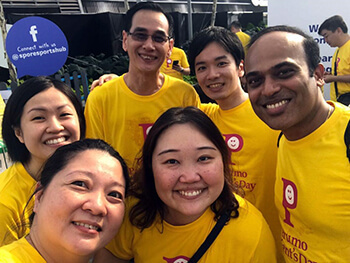 Terumo BCT associates partnered with colleagues from our Terumo sister companies to lend a hand during the Giving Family Festival organized by TOUCH Community Services, one of Singapore’s most established community service organizations. 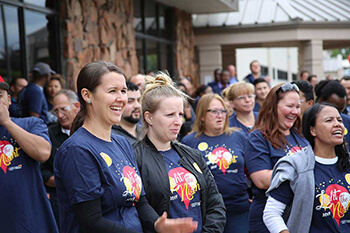 The event was held in conjunction with our company’s annual Patients’ Day, a community corporate effort to reconnect with our mission, and consider anew what it means to personally contribute to the advancement of healthcare. On Patients’ Day, associates also reflect on the value Terumo provides to society. 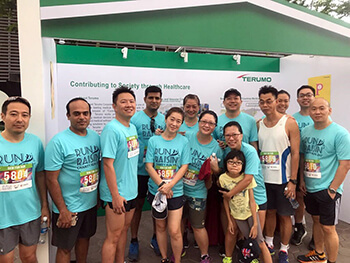 Associates also participated in a charity run and a fundraising bazaar—some even brought along their friends and family members. Despite the physical demands under Singapore’s tropical heat, smiles of fulfilment were seen throughout. Associates were contended to personally contribute to frontline healthcare needs, while having an enjoyable time with each other. 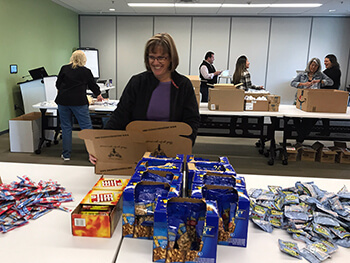 Our Lakewood headquarters proudly celebrated Veterans Day by assembling boxed lunches for Denver’s homeless veterans through Soldiers’ Angels and toiletry kits to be sent to deployed military personnel through Operation Gratitude. Volunteers packed nearly 500 kits in less than 30 minutes! 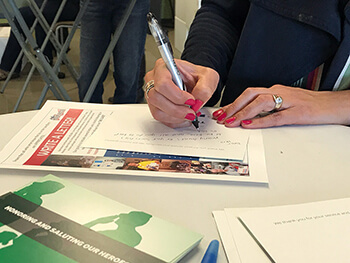 Associates also shared their gratitude by writing thank-you notes to include with each of the kits. CEO David Perez, hosted a luncheon on our Lakewood campus for more than 60 Terumo BCT veterans. Rich Gonzales, Director, Grants Management and Government-Sponsored Research, and a former Colonel in the U.S. Army, spoke to the group and shared his pathway to Terumo BCT. In addition, we hosted a boot camp workout that morning and an online Yammer campaign for associates to recognize family and friends that have served in the military around the world. Being socially responsible and conscientious corporate citizens is part of who we are at Terumo BCT—it is a natural extension of why our company exists. We have a deep commitment to our communities, our associates, our customers and the patients we ultimately serve. In times of disaster, these commitments become even more pronounced. 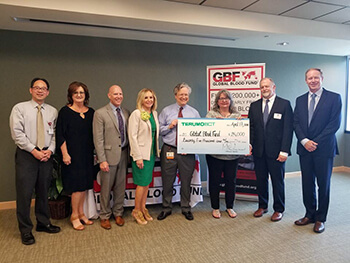 Terumo BCT made a $10,000 USD donation to support the Gulf Coast Regional Blood Center's (GCRBC) Employee Assistance Fund in the wake of Hurricane Harvey. GCRBC employs a staff of about 650, many of whom lost or suffered considerable damage to their homes or vehicles. Following Hurricane Irma, Terumo BCT made a $5,000 USD donation to the OneBlood Foundation, an organization providing safe, available and affordable blood to more than 200 hospital partners and their patients throughout most of Florida, parts of Georgia, Alabama and South Carolina. Our donation supported OneBlood’s Hurricane Irma Employee Assistance Fund. With our Latin American regional office based in Mexico City, Terumo BCT was proud to support relief efforts following the 7.1 magnitude earthquake. We provided a $5,000 USD grant to the Red Cross. Through our office in Mexico City, we also donated blood bags valued at $6,000 USD to the Mexican Red Cross and chairs to the National Cancer Institute. 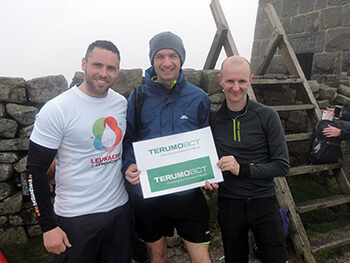 Terumo BCT’s sponsorship of the Project C.U.R.E. High Roller event also benefitted disaster response in Mexico. Following Hurricane Maria, Terumo BCT teamed with our Terumo sister companies on relief efforts. 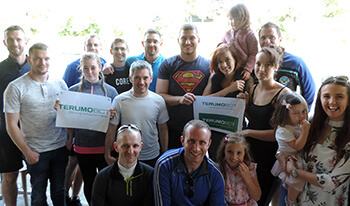 Terumo BCT made a $10,000 USD contribution to the Terumo Puerto Rico fund to provide monetary donations to 10 Terumo associates who suffered significant damage to their homes and properties. 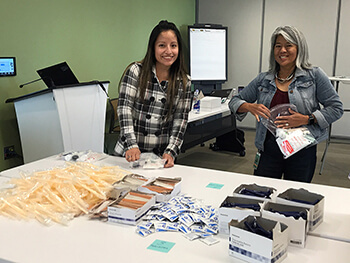 In addition to direct donations, Terumo BCT encouraged associates to give blood through local donation drives and to use the company’s Matching Gifts program for their disaster response donations. Because we do not want our associates to face life-changing catastrophic events alone, we created an associate Catastrophic Assistance Fund to provide financial assistance after a catastrophic event. In 2017, the fund benefitted two associates who received nearly $5,000 USD in assistance. More than 55 associates donated to the Catastrophic Assistance Fund through payroll donation, contributing more than $7,000 USD annually. 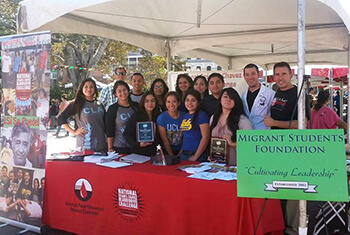 Since 2013, the fund has provided 13 grants to associates.